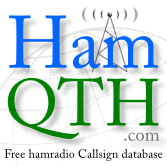 it is often difficult to select a callsign in the bandmap when the list repeatedly scrolls down for new entries. Do you see improvements? this is already fixed in new version but it's not released yet. If you know how to compile from source code, you can use it from github. many thanks. I'll try the version from Github even before the official version. Hi, I would like to say that this problem still exist in version 2.0.5. When I have many stations in band map and I scroll to the top, after a new station added, the band map scroll down to the bottom again. This makes very difficult to use low frequencies in bandmap, because they are in the top and disappear all the time. does not work with me either. in CQRLOG 2.3.0 the problem persists.